McTeague (1899) chronicles the demise of a San Francisco couple at the end of the nineteenth century. Inspired by an actual crime that was sensationalized in the San Francisco papers, it tells the story of charlatan dentist McTeague, his wife Trina, and their spiralling descent into moral corruption. Norris is often considered to be the 'American Zola', and this is one of the most purely naturalistic American novels of the nineteenth century. 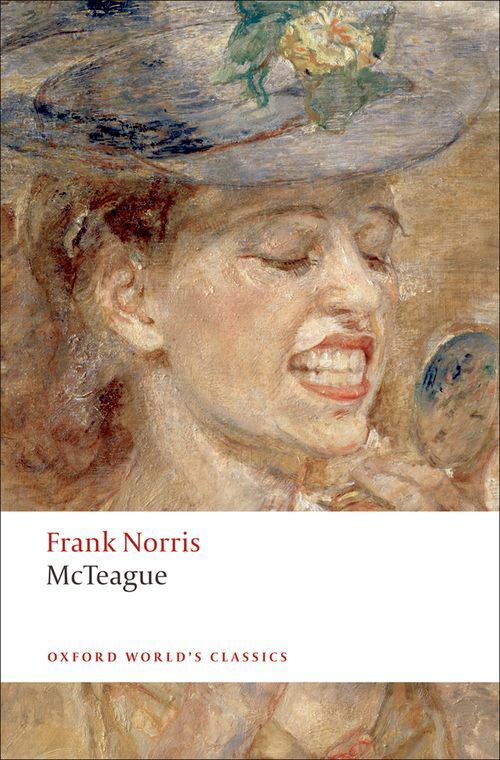 With its compelling portrayal of human nature at its most basic level, McTeague is a gripping and passionate tale of greed, degeneration and death. It is also one of the first major works of literature to set in California, and it provided the story for Erich von Stroheim's classic of the silent screen, Greed. The editor of Walt Whitman's Leaves of Grass in World's Classics, Frank Norris is Professor of English at Texas A & M University.